Anthropogenic activities such as mining, smelting, and industrial use have caused serious problems of metal(loid) pollution in nearly every country in the world. A wide range of environmental microorganisms are capable of transforming metal(loid)s into nanomaterials, i.e., biogenic nanomaterials (bio-NMs), in the environment. Although the impacts of various metal(loid)s on the ecosystems have been extensively studied, the potential influence of the bio-NMs generated in the environment to environmental organisms is largely unexplored. Using tellurium nanomaterials transformed from tellurite by a metal-reducing bacterium as model bio-NMs, we demonstrated that the bio-NMs significantly decreased siderophore production in an environmental bacterium Pseudomonas aeruginosa in both planktonic cultures and biofilms. Transcriptomic analysis revealed that the bio-NMs inhibited the expression of genes involved in biosynthesis and transport of siderophores. Siderophores secreted by certain bacteria in microbial communities can be considered as public goods that can be exploited by local communities, playing an important role in shaping microbial communities. 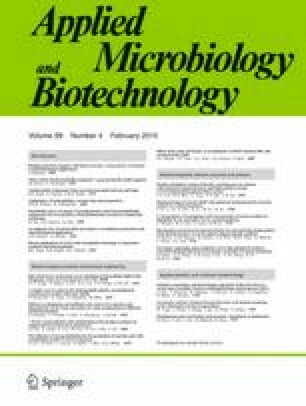 The inhibition of siderophore production by the bio-NMs implies that bio-NMs may have an important influence on the ecosystems through altering specific functions of environmental bacteria. Taken together, this study provides a novel insight into the environmental impacts of metal(loid)s.
The online version of this article (doi: 10.1007/s00253-014-6097-5) contains supplementary material, which is available to authorized users. This research was supported by the National Research Foundation and Ministry of Education Singapore under its Research Centre of Excellence Programme, Singapore Centre on Environmental Life Sciences Engineering (SCELSE) (M4330005.C70) and a Start-up Grant (M4080847.030) from the College of Engineering, Nanyang Technological University, Singapore.